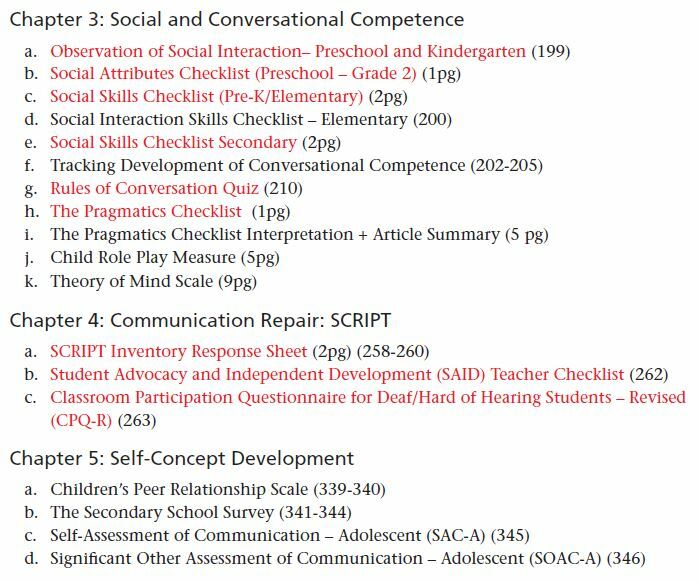 Building Skills for Success included a large number of informal assessment tools. 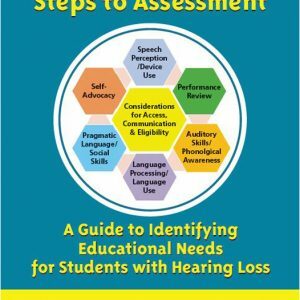 This e-publication was developed following many requests that e-versions of the tools be provided so that they could easily be shared with and completed by classroom teachers and/or the teacher of the deaf/hard of hearing during assessment or progress monitoring. Documenting Skills for Success: Data-Gathering Resources is intended as an electronic supplement for individuals who have already purchased Building Skills for Success in the Fast-Paced Classroom. Unless someone is purposely monitoring classroom performance over time, emerging gaps can and will be missed! 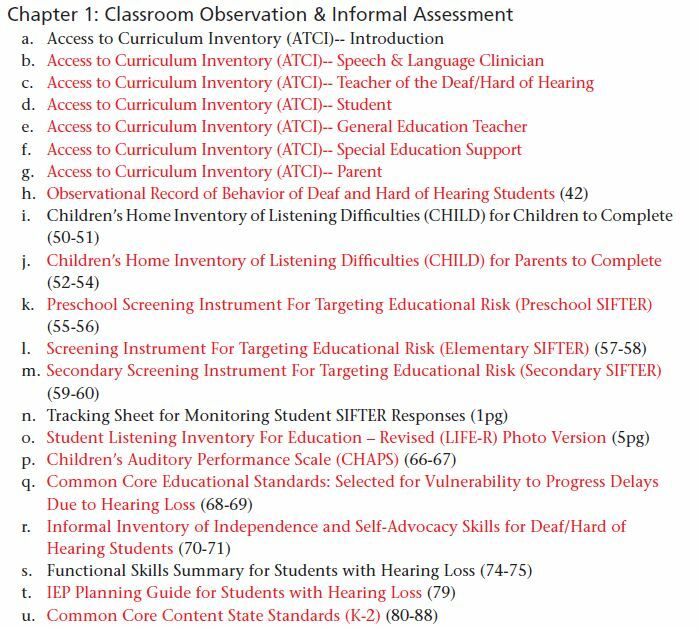 Response to Intervention (RtI) measures may lack sensitivity to identify issues that emerge for students with hearing loss. Many of the data-gathering tools in this e-publication have been developed to compare performance to age/grade expectations and are therefore ideal to use for eligibility determination and periodic performance monitoring. The SIFTER e-files, which have sold for $38, have been included in DSS and are no longer for sale separately. We are pleased to include these powerful functional performance check tools! 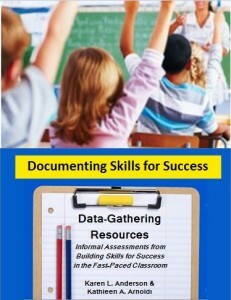 Documenting Skills for Success has more than 57 tools from Building Skills for Success. There are 10 additional data-gathering tools that included in this e-publication.Of the 67 files, 42 are computer-fillable pdfs.In the original release only 27 of the files were computer fillable. Send a classroom teacher a pdf by email, ask her to save it to her computer, complete it and attach the completed version in a return email to you. Save the results electronically or print out for the student file. Note: In downloading the files that comprise this product you are agreeing to abide by the terms of a limited use license, meaning it is only for use by you with your caseload. It is not legal to share downloaded files for others to use unless you are purchasing the full district license. The performance of children with hearing loss must be monitored over time as increasing gaps in academic performance and social skills are a typical outcome of learning with a hearing loss. IDEA specifies that technically sound instruments must be used, along with assessment tools and strategies that provide relevant information that directly assists persons in determining the educational needs of the child. 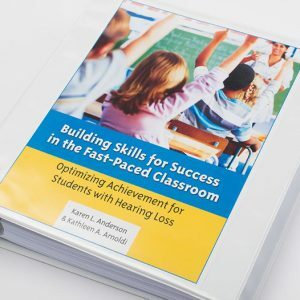 The 60+ informal data-gathering tools in Documenting Skills for Success are intended to support the success of your students with hearing loss and benefit teachers and parents. We are pleased to include the newly revised and expanded Access to Curriculum Inventory (ACTI) that replaces the ATCAT! And now it is fillable! What a great tool! 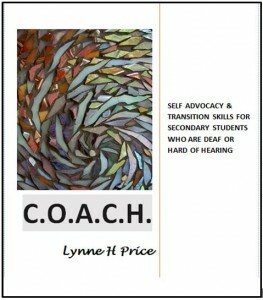 Individual caseload license $49.00 To support students only on the individual’s caseload. Be prepared to download this 4.4 MB e-publication immediately after purchase. 67 pdf files! 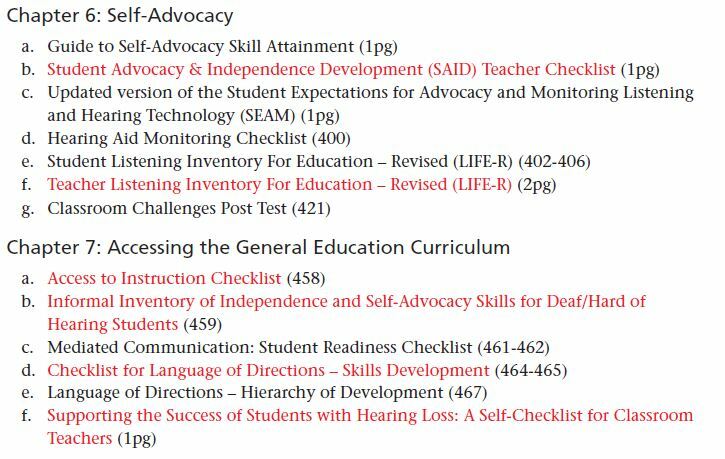 Page number(s) of where the resource can be found in Building Skills for Success in the Fast-Paced Classroom are in parentheses. Forms that have been created to be in a computer fillable format are in red. Resources that have been included that are in addition to those from the original book or that have been updated have the number of pages following the title (example: (1pg). All resources are hyperlinked directly to the page of the material within this e-publication. Each of the resource pages within the e-publication provides a link to download the material directly to a computer or other media device. Resources are licensed for use by the individual purchasers only to support the children on their caseloads ONLY. Once purchased, resources are not ‘freeware.’ It is unlawful to share the resources with other professionals (i.e. a DHH team) in a district setting unless a district license for use by professionals throughout that district. Table of Contents has been listed below. PDF forms that are computer fillable are in red.